On the 7th of November 1923 this soviet poet and writer was born in Turkmenia in the town of Mevr. His father came from Nagorno Karabakh, he was Armenian. He graduated from Tomsk technological institute but never worked as an engineer. After the revolution on Altai het was a researcher . The mother of the poet was a teacher. She met her future husband in Barnaul. 1923 - The parents of the poet moved to Mevr where they worked as teachers. 1929 - The poet was 6 when his father died. That was a real tragedy for the mother and so she and her son moved to Sverdlovsk, where the poet spent his childhood. 1931 - when the boy was 8 years old, he wrote his first poems. He attended a Drama club in the Palace of pioneers. The poet devoted a lot of his poems to the Urals – the land of his childhood. 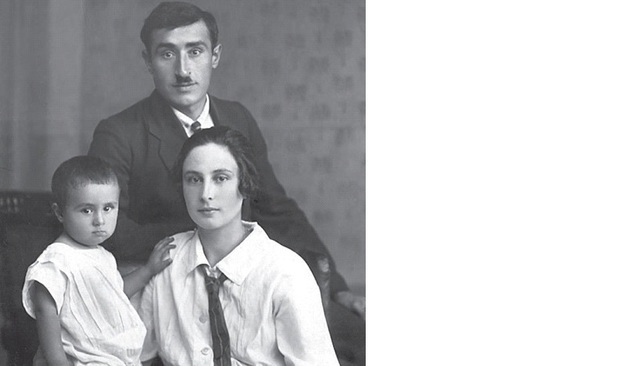 1938 - The mother of the poet was invited to work to Moscow, so she and her son moved to the capital of the USSR. June 14, 1941. A graduation ceremony was held in the school where the poe t studied. A week later the Great Patriotic war began. Instead of entering an institute the young boy went to the front. He fought for Leningrad. He was a brave soldier, between the battles he wrote poems. The spring of 1944. The poet was seriously injured in the battle for Sevastopol. He was taken to hospital where the poet was operated several times. The doctors saved his life but they could not save his eyes. The poet became blind and till the end of his life he wore a half-mask. The poet was awarded the Order of the Red Star for the battle for Sevastopol. After the terrible verdict of the doctors, the poet decided to write poems, even if he no longer sees the sunlight. 1946-the poet became a student of the literary Institute. During his studies at the Institute he was the winner of the competition among students for the best poem. 1951-graduated from the Institute with honors. 1951-the first book of poems of the poet " Light roads» was published. After that he became a member of the Union of writers of the USSR. His collections of poems were published in 100 thousand copies. For example, the best poems of the poet can be called “I can wait for you very much”, "Never get used to love" and others. This author also wrote the novel “Front spring " and some stories. 1961-the poet met his future (second) wife Galina and they got married. They lived together for 36 years. The wife became the poet’s a reliable friend and faithful wife. 1997-Galina suddenly dies of a heart attack.